The best surf spots around Corralejo and Cotillo offers ideal conditions for your firsts surf lessons. 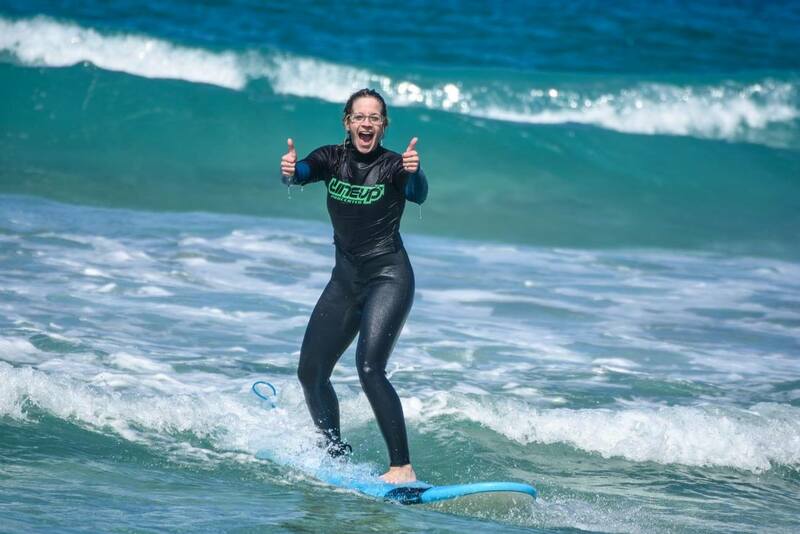 If you are serious about learning to surf in Fuerteventura or you want to improve your surfing, Having the right surf course makes all the difference in your surfer’s success. 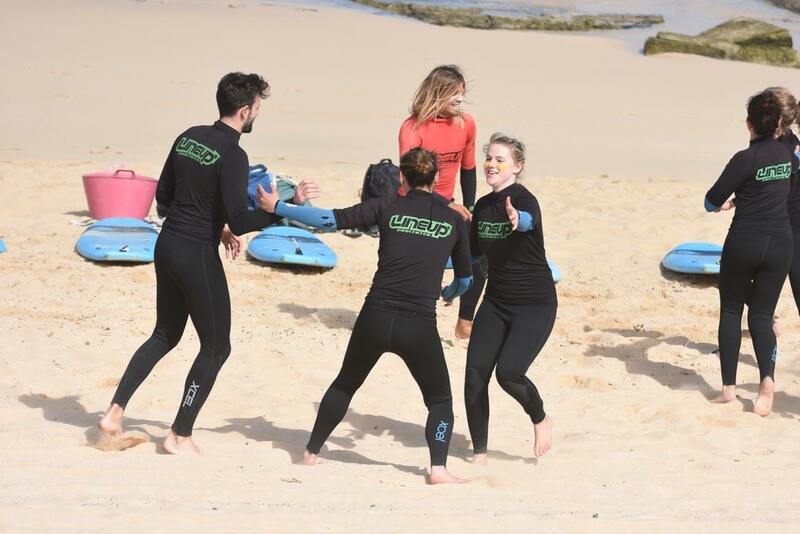 Surf lessons in Fuerteventura are in small groups with trained and experienced surf instructors. Surf Guiding at canarian world-class surf spots for our intermediate surfers can also be provided. 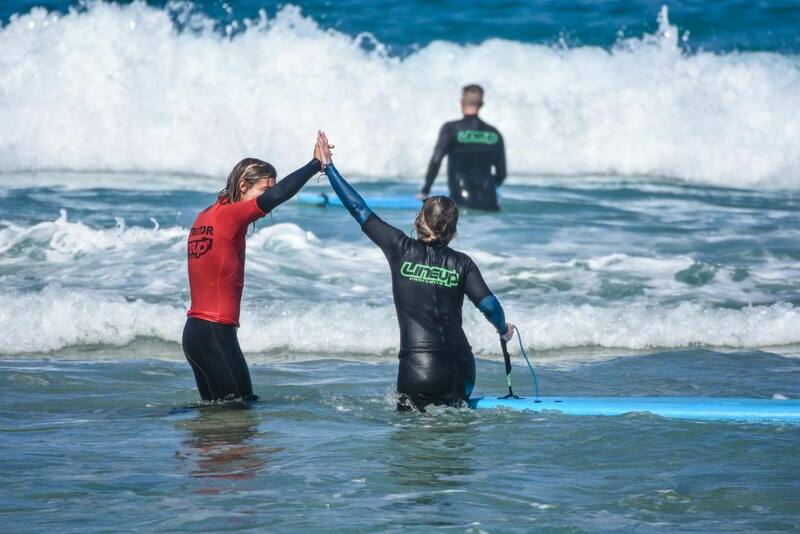 We propose you to build up your surfing skills in Fuerteventura, regardless your age or surfing level. 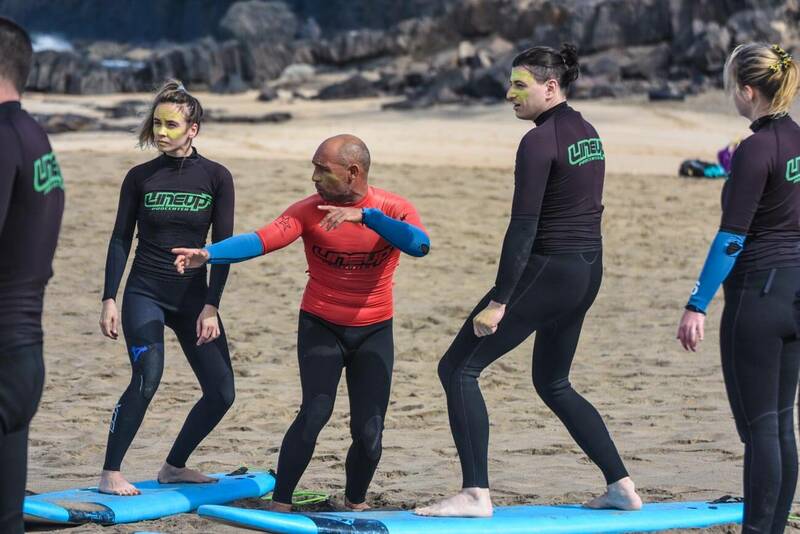 Line Up Surf School Fuerteventura believes that everyone’s surf-trip experience is an individual surfer vibe. We offer private surf courses and guides, yoga and pilates as well, catered to your interests, budget, schedule etc. Bring your sense of water adventure and Line Up Fuerteventura will take care of the rest! Learn to Surf with Us!! !